The Lake Ray Roberts Rotary Club is continuing to honor the first responders this year. We are calling them our "Hometown Heroes". The first responders are selected by their departments. 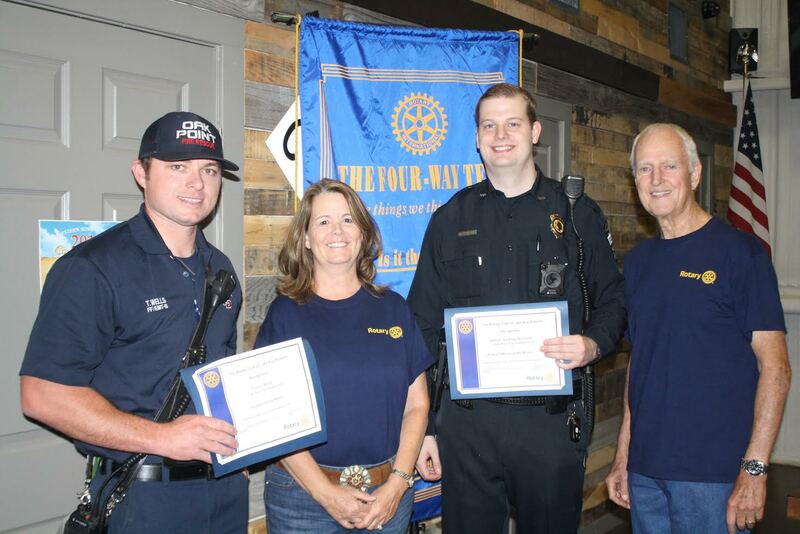 The Lake Ray Roberts Rotary Club honored the first responders from Oak Point at our September 12th meeting. Hometown Heroes are Travis Wells, Oak Point Fire Department, and Andrew McFarlin, Oak Point PD. Congratulations and thank you for all you do for our local communities!